A mother accused of murdering her disabled son has described in court how she told him that she loved him before administering a heroin overdose. 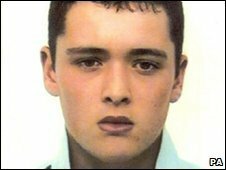 Frances Inglis, 57, of Dagenham, Essex, denies murdering Thomas Inglis, 22, on 21 November 2008 and an earlier attempt to kill him on 4 September 2007. Mr Inglis was fatally injected with heroin at his Hertfordshire care home. The Old Bailey jury heard she injected his arm and thighs after saying: "Everything's going to be fine." 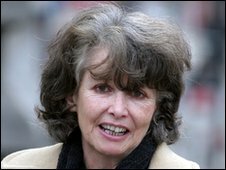 She was giving evidence about the moment she allegedly attempted to murder her son Tom in September 2007 in a bid to end his suffering. The Old Bailey has heard that Ms Inglis went on to succeed in killing the 22-year-old in November 2008. His mother said: "I held him, told him I loved him, told him everything was going to be fine, took the syringe, and I injected him in his thigh and his arm. "Then he went to sleep. He was at peace. I stayed with him." The defendant said she was convinced that the doctor treating her son at Queens Hospital in Romford, Essex, was lying about his chances of recovery. He was left helpless after suffering severe head injuries when he fell out of an ambulance in July 2007, the jury has heard. Ms Inglis said: "I knew I had to help him. I asked myself what Tom would want. He wouldn't have wanted to live like this. "I asked myself what I would want. I would want someone to love me enough to help me die. "That's why I thought heroin - a painless, peaceful death." Ms Inglis told the court she had started to research her son's condition on the internet within days of his accident. She also claimed she had to beg hospital staff to give him some relief for his "terrible pain". Ms Inglis, who said she used to visit her son twice a day, was asked by her barrister Sasha Wass QC about the "encouraging" prognosis described by consultant surgeon Ragu Vindlacheruvu. He had suggested "that Tom would be running his own business, walking, talking, independent, totally opposed to what everyone else had said and what I had seen with my own eyes", said the defendant. "All I saw was horror, pain and tragedy," she said. She added: "I knew that Dr Vindlacheruvu was lying." The case was adjourned until Friday.